Agog races across the borders between jazz, rock, chamber music or folk music and knows how to find the right balance in their compositions, full of surprises and catchy grooves. A communicative, groundbreaking and equal trio. 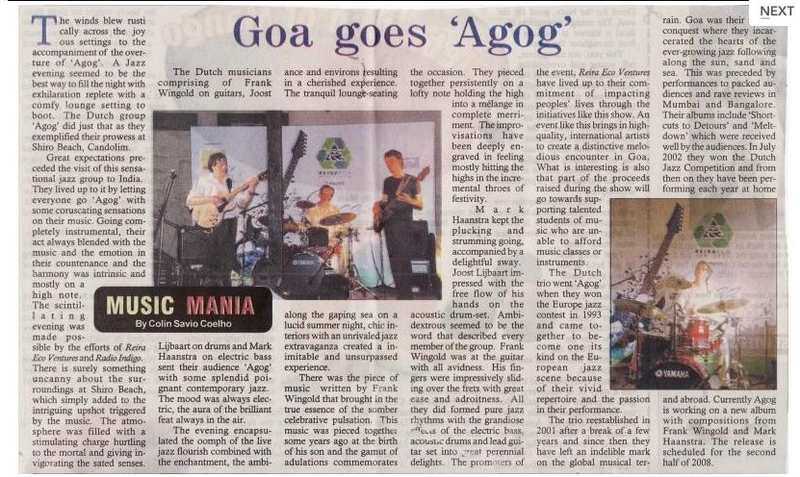 ...Agog is not a one hour lasting ego-trip of a guitar player but a communicative, groundbreaking and equal trio.